Law school classroom lectures can leave you with a lot of questions. Glannon Guides can help you better understand your classroom lecture with straightforward explanations of tough concepts with hypos that help you understand their application. 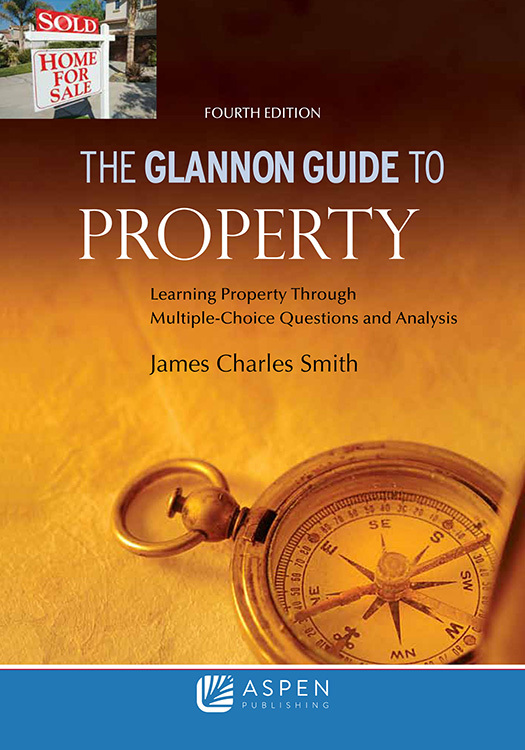 Following the established format of the well-received Glannon Guide Series, The Glannon Guide to Property: Learning Property Through Multiple-Choice Questions and Analysis, Fourth Edition, offers students a concise, clear, effective review of Property topics organized around the theme of multiple-choice questions. Brief explanatory text about the topic under discussion is followed by one or two multiple-choice questions. After each question, the author explains how the correct choice was chosen, providing the student not only with a review of the course content but also with tips on how to analyze exam questions. This book is also valuable for students to use when preparing for the real property part of the multistate bar exam.